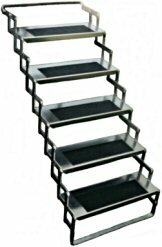 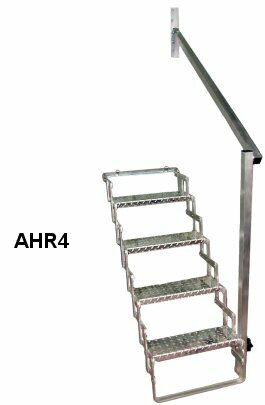 Wider and deeper stair tread makes for stable and secure footing. 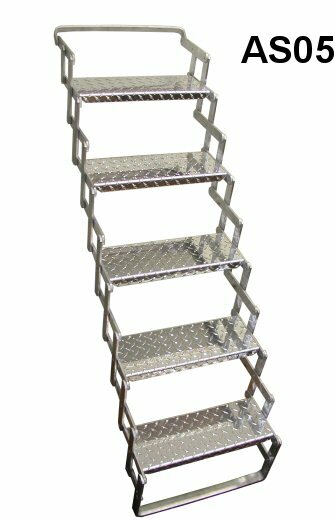 Step size is 8 3/4" x 24"
Vertical height is the measurement from level ground to mounting bracket. 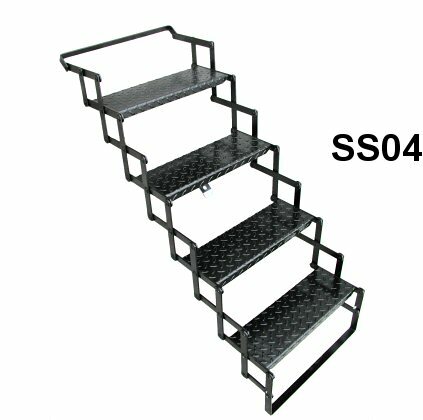 Step size is 6" x 18"
Step size 6" x 18"